Sudden Jihad Syndrome strikes again! Love can not cure terror in Europe! Last week an awful terror attack took place in Paris. A police officer were killed and more colleagues injured when a muslim, well known by the French Secret Service, fired endless rounds with his AK 47 on Champ Elysse! In Stockholm 2 weeks ago a full loaded truck ran over 20 pedestrians in the center of the Swedish capital. Four people were killed – sliced to pieces under the truck – and many others were crippled for life. The driver, a muslim from Uzbekistan – a country far away from Sweden – was caught shortly after and bragged for the police, that he was proud of having killed and injured so many infidels! Allah will reward him, he stated. The Swedish police knew him very well, and they should have expelled him from the country weeks before – if they had done the job, they are paid for! The press in Sweden has been very careful when it comes to the monster’s motives. Not a single journalist has mentioned the word Islam. It could hurt other muslims feelings! 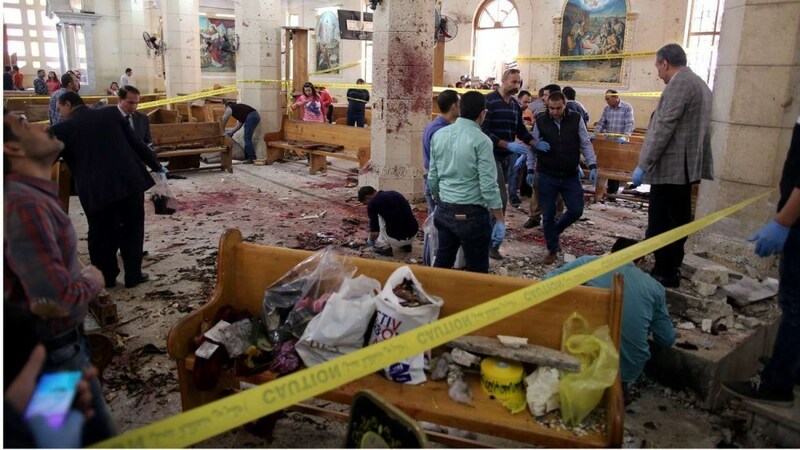 Well, obviously, they did not need to offend the muslim suicide bombers in Egypt when they, two days later blew up two Coptic – Christian churches in Egypt. Forty-five children, women and men, celebrating the Palm Sunday in the churches, died instantly and more than a hundred were heavily injured! 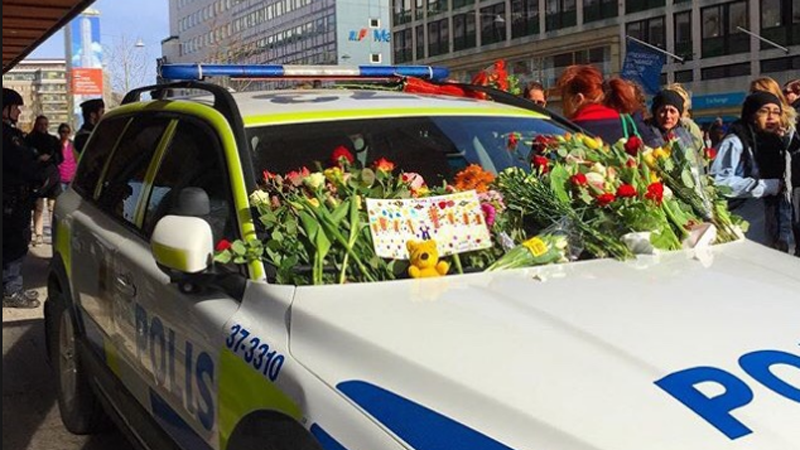 On the same Sunday in Stockholm, while the establishment still were discussing the motives to their own survived Uzbek terrorist, some people from the left-liberal environment called to a manifestation – they called it a “Manifestation of Love”! Thousands of ordinary people and politicians, all those who have been fighting for open borders and everybody’s right to come to Sweden and take part of the Swedish welfare from day one, gathered in the center of Stockholm, cried and shared flowers all over the place and sang songs like “We shall overcome” and worse. Obviously, the flowers and the peace-speeches did not prevent the killings in Egypt nor in Syria or in Paris! Oh yes, I forgot Syria in the first round. More than 100 refugees were killed 15th April by a car bomb after being lured out of the busses that was supposed to bring them in safety outside Aleppo! Allah u Akbar. NOT! People get mad at you if you do not follow the crowd! I made myself some unfriends that day. I can tell you that for sure! Churchill never said that as the matter of fact – but from now on you are welcome to quote ME for that statement. It works just fine, whoever said it first. I criticized the “Love manifest”. My FaceBook update just went out by itself so to speak, my fingers were working automatically. “Love manifestation”? What the heck are people doing in this sad country of Sweden? The picture I saw this Friday afternoon of that little girl tared to pieces under a big truck, driven by one of the proselytes of islam did NOT seem to be a result of any love –that was evil – so what “good” should a love manifestation bring? The Belgium victim on the street in Stockholm – a young mother – also is an absurd tragedy. She had spend all her spare time working for refugees and rejected asylum seekers the last couple of years – without getting paid, she helped people, people like Rakmat Akilov – and he rewarded her, by killing her in the name of Allah! 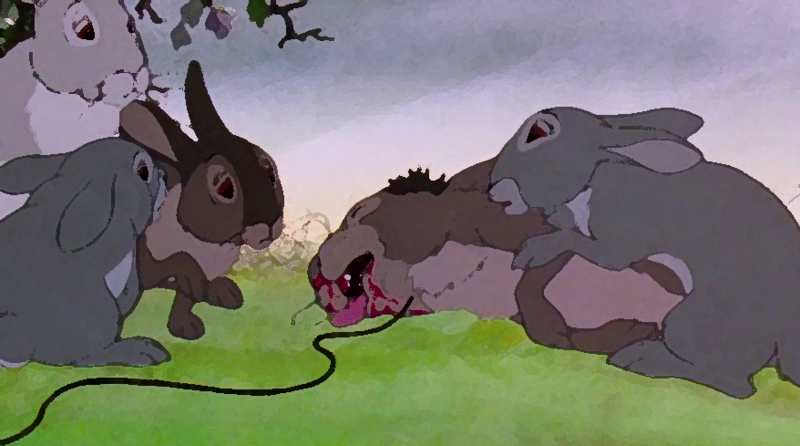 In my perspective, much of what’s going on, is like a scene from the novel, Watership Down, by Richard Adams. Here the rabbits live in prosperity and therefore turn their blind eye to the fact, that the farmer, that feed them, every week in return, capture a few of them for slaughter! When our politicians say: “We have to stand together and continue as before”! They really hand us over to the enemy, to be slaughtered one by one until there is no one left to wave with the flowers and sing the sentimental songs or perform speeches praising themselves for being so good! There is a war going on. It is not a clash between civilizations. It is a combat between civilization and barbarity! 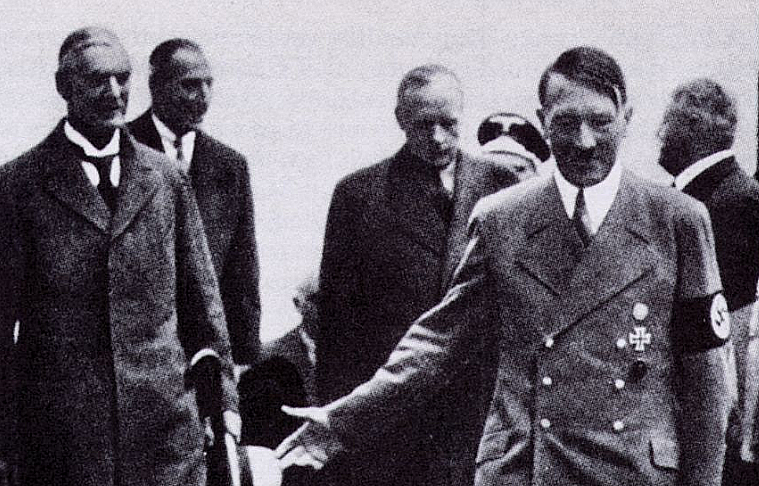 The only clear signal to send to this particularly violent enemy is the language of power. Violence and oppression is the 1400-year-old language of islam – and that is what the proselytes of this dangerous ideology understand. 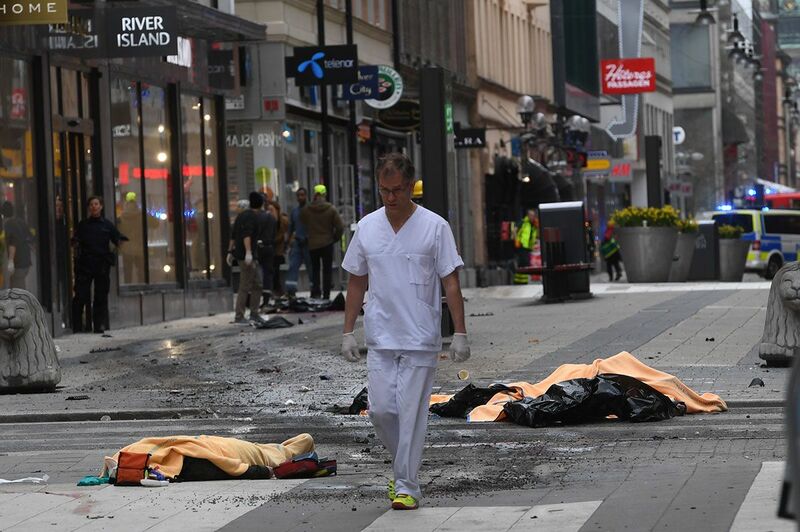 Instead of filling the square with flowers and mourning people, police and military should have marched fully armed through the city center playing the Swedish national anthem, showing that “we do not tolerate one more attack or any abuse from this violent culture”! We who know the rest of the story, how it ended – our history, WE want our leaders to stand up and show their strength and determination to solve the mess – whatever it takes. We do not want to see them cry and bury their responsibility for what happens in an ocean of flowers! Those who still believe that all cultures are the same, and everybody without exception carries the same dreams and wishes for peace all over the world, can take their flowers and their love songs and kneel, lower their heads, bare their necks and wait for the sword of their “slayer”! WE, who do not believe in that love cures evil, will never surrender! God bless you all out there, we will need it in the future!